Green is a great colour and very popular with many customers. 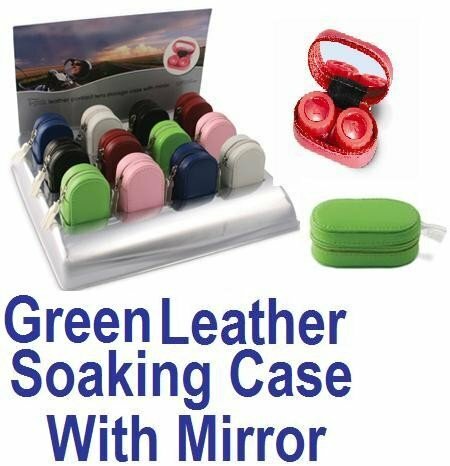 Make this work to your favor by having the green leather contact soaking case with mirror available for them when they look for contact accessories. Your customers will love them and you will be able to sell these based on their fashion statement and practicality for the customer.